The kings and queens like their board games encrusted with diamonds and pearls but more than that they do like to play with it. 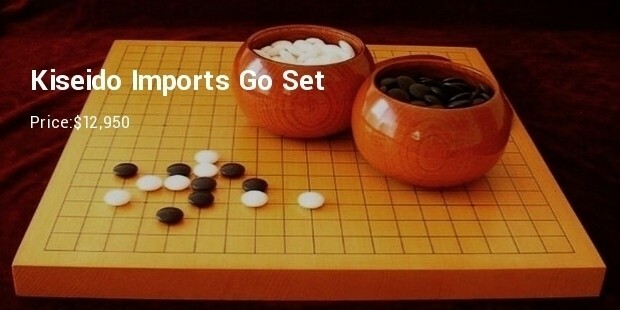 This list walks through more or less the most expensive board games of the world. 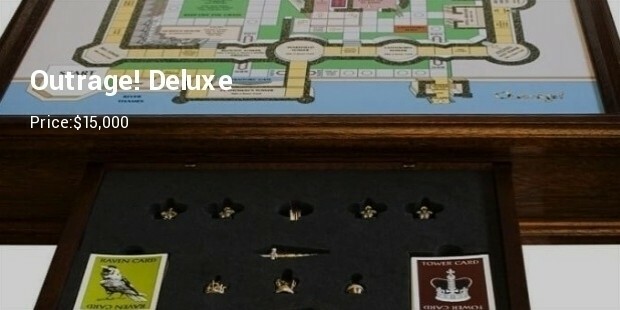 These board games are collectibles of rich and famous and are mostly not for sale. 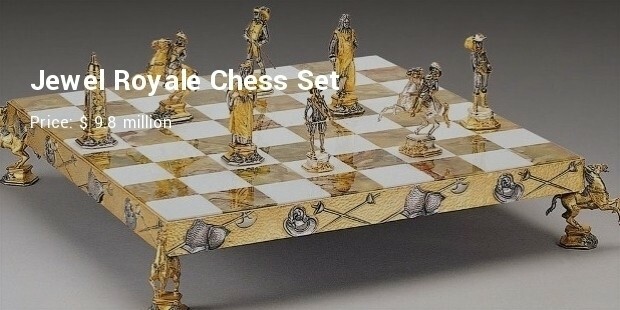 Once these royal people master the art of playing the game, they most likely turn their game pieces into art and probably lock them up in their vaults. 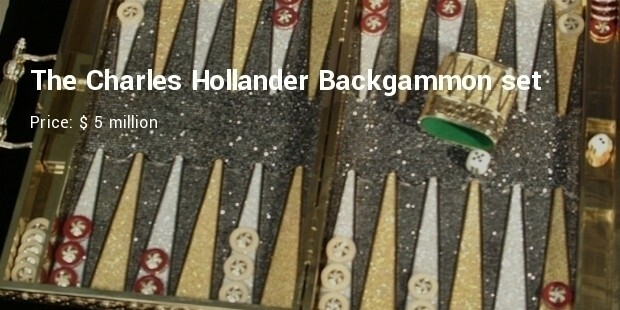 These board games are the masterpieces turned by famous jewellers and artists of the world. 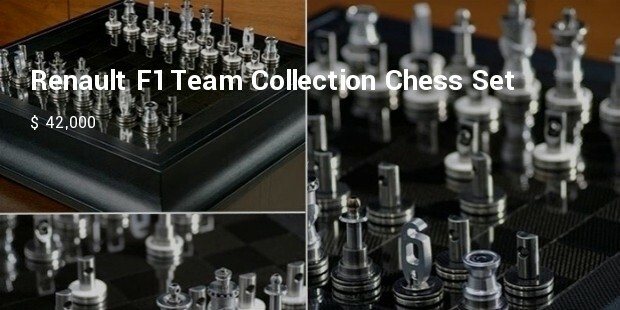 Chess is the utmost dominant in this list, primarily for its piece and board structure. 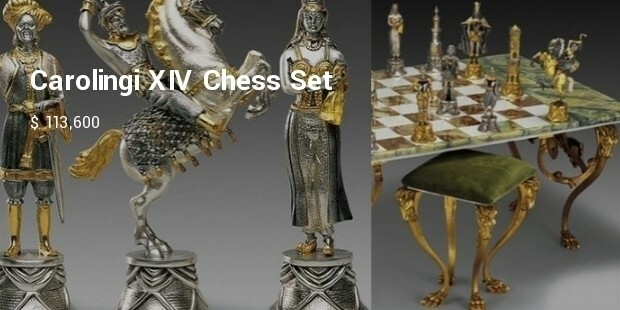 The chess is one of the exquisite board games, however, this one is extra exquisite, it contains gold pieces encrusted with diamonds, emeralds, rubies, pearls and sapphires. 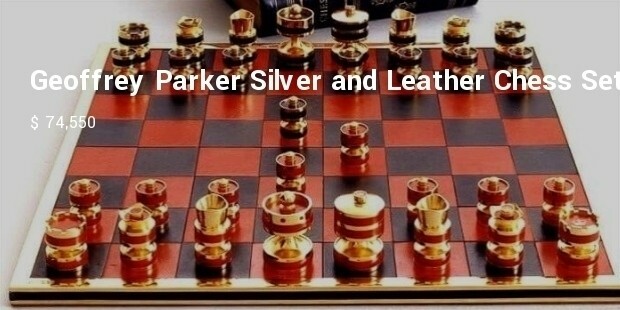 Worthy enough for a jewel lover than a chess lover or both. 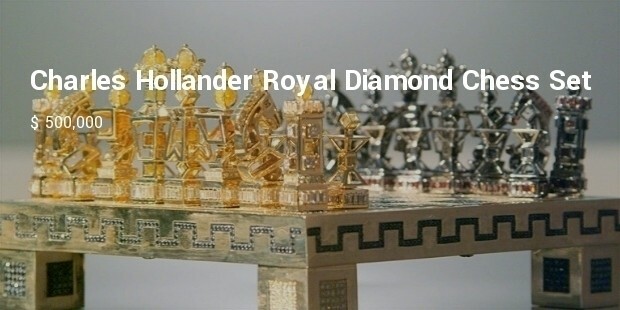 61,082 diamonds in yellow, white and black all weighing 2071.48 carats, yellow gold weighing 6.77kg, silver weighing 150 grams, all wrapped up in a 54 x 39 x 3.5 cm board game. Definitely for the people who like playing with their jewels. 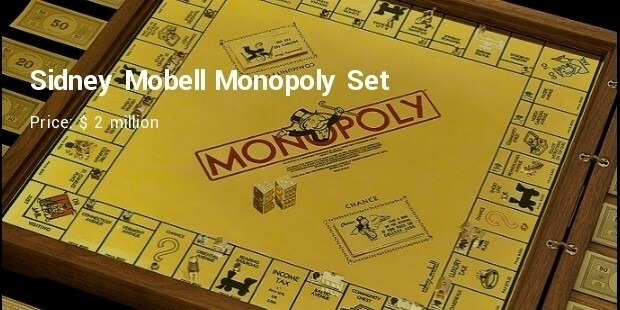 This 18 carat gold monopoly set contains $10,000 worth dice, 165 rubies and sapphires, 42 full-cut diamonds and luxury cards. Apparently this beatified version of evergreen money game was designed by Sidney Mobell for the desire of fame. 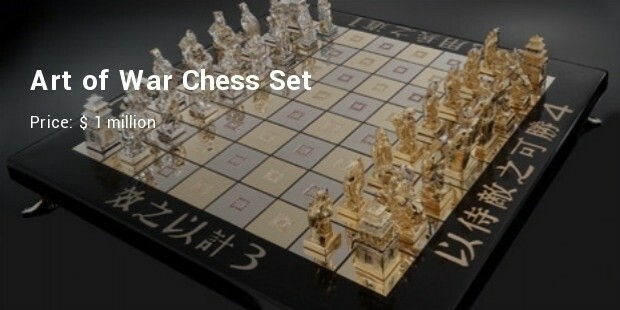 Again a bejewelled board game of chess with Chinese oriental art of war look for rich nerdy people. From the 2-footed ebony case to its handle to its figures and pieces everything is laden with gold, diamonds, rubies, sapphires and emeralds. The board games are a nonstop source of amusement and excitement however for rich they also mean luxury. Wonder why people will want to lock them up in box and lock, but what else can they do if they are worth millions of money.